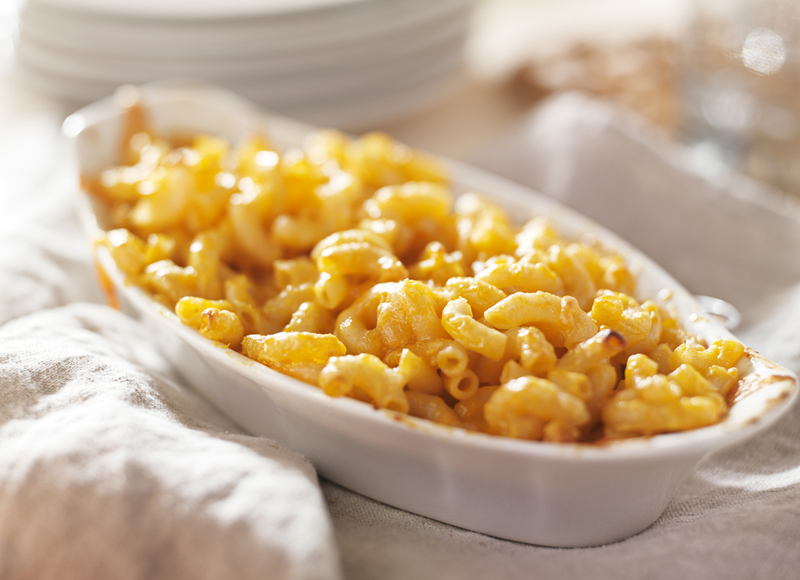 Craving mac and cheese, but don’t want to overindulge? This dish is your answer. It is a touch sweet and cheesy. Your children will eat it up without knowing that they are eating vegetables. In a medium saucepan over medium-high heat, add butternut squash, stock, milk and garlic. Bring to a boil, then reduce to a simmer until the squash is tender (about 20 minutes). Remove from heat and add to the base of a blender or immersion blender. Add in the Greek yogurt and season with ground pepper. Blend until smooth, and then add Swiss and Parmesan cheeses. Blend again until combined and cheese is melted. Meanwhile, heat butter in a medium sauté pan over medium heat. Add breadcrumbs and cook until golden brown, stirring occasionally. Remove from heat and set aside. When pasta is done, drain and add it directly to the cheesy squash mixture. Serve with the toasted breadcrumbs and chopped parsley on top. You can make this sauce ahead of time; it stores quite well!